Now with high performance Heavy Duty Aquatexx. After the launch of the very successful Brolly System and the feedback from our customers we were asked to provide ÒA simple BrollyÓ Many anglers found that they didnÕt require such comforts as a groundsheet and infill. Our brief was clear... and along came the Fast & Light Brolly. 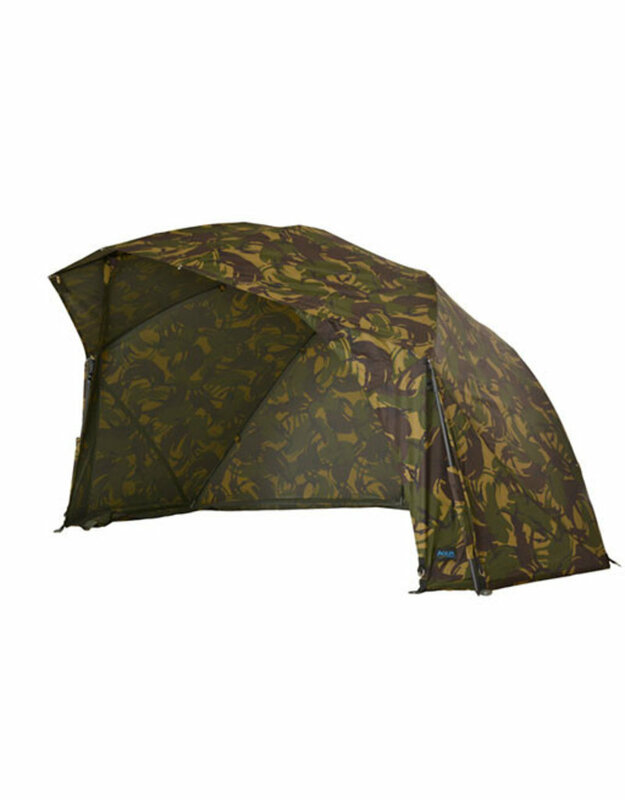 The Fast & Light Brolly has the superlative features of the full system - the unique ninth rib that gives unrivaled cover for the front of the shelter; the performance-grade Aquatexx¨ that has become standard across our range; and extended storm sides. All built onto a 55Ó hi-tensile powder-coated steel frame. This offers todayÕs anglers the ultimate in speed along with the stability and strength thatÕs expected from an Aqua product... one that will serve you for many years to come.